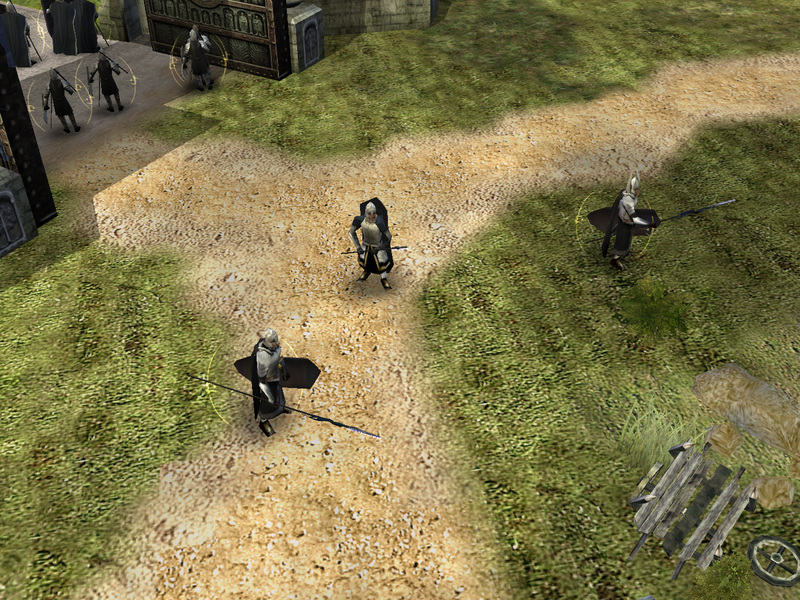 Firstly, Gondor Soldiers have been replaced with Gondor Spearmen. 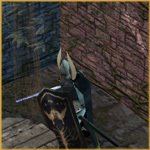 Functionally, they are practically identical to the old unit, though they have a little more attack range, better armor against cavalry and slightly higher cost revenge damage. They cost a wee bit more too (20). 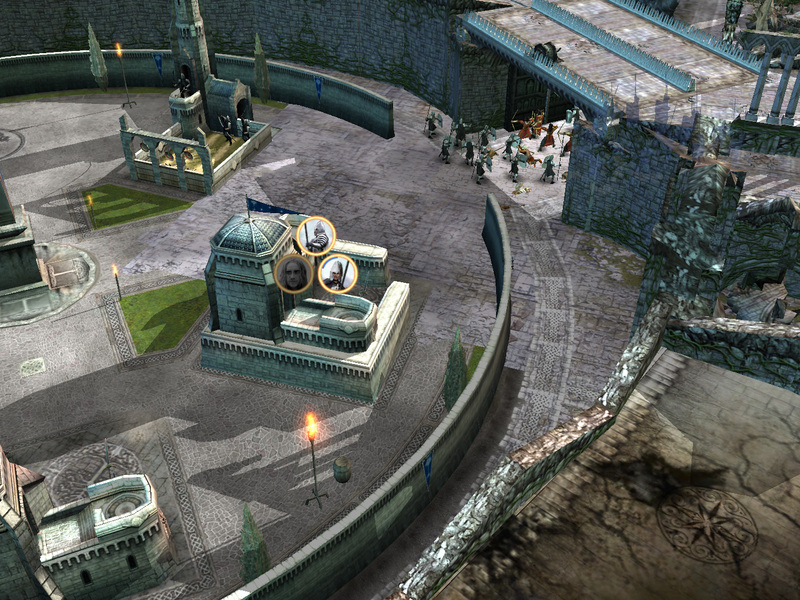 EA's strange Tower Guard unit is also gone, replaced with Citadel Guard. Again, these are functionally identical and are just a graphical upgrade. 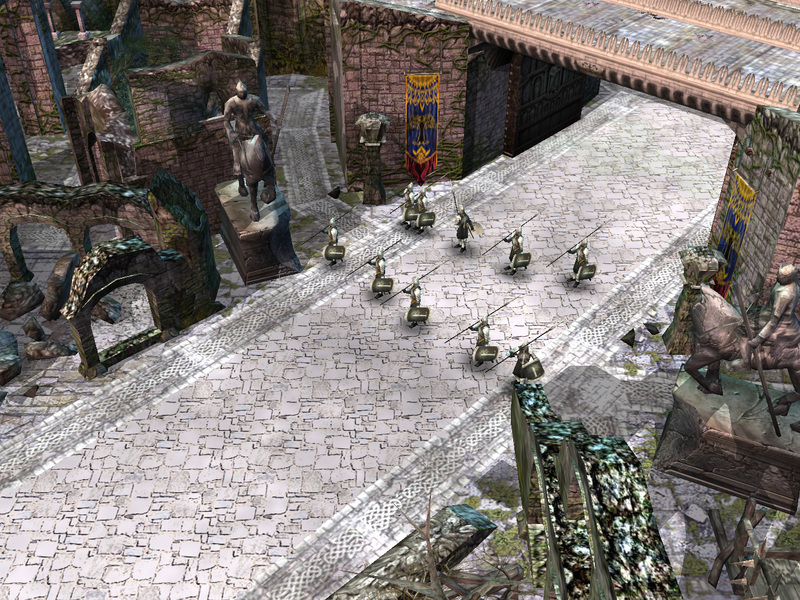 The Fountain Court guard remain as rare, powerful units instead of being front-line combatants. 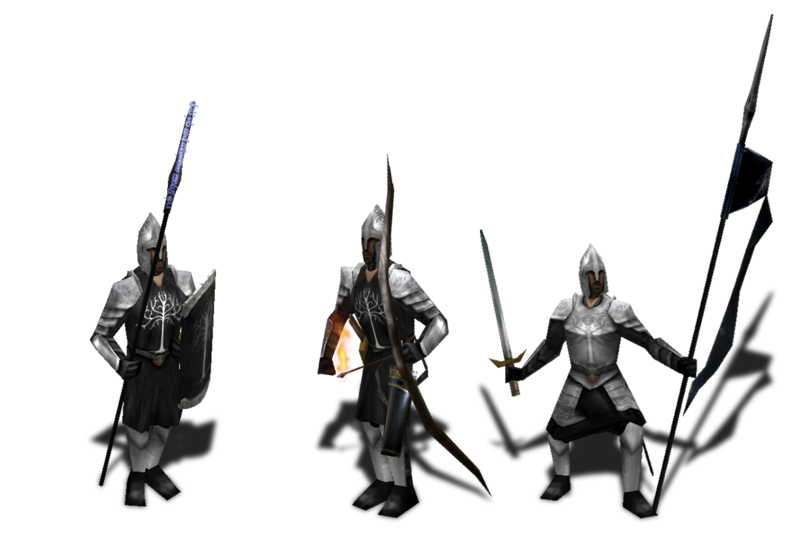 I should also probably mention that we (Matias) have done another reskin/remodel of all the basic Gondor units. No more weird rigging or strange pointy bits! The most interesting new unit though is the Gondor Captain. Like the Dwarf Captain, he's a powerful single unit that can lead men into battle to improve their performance. 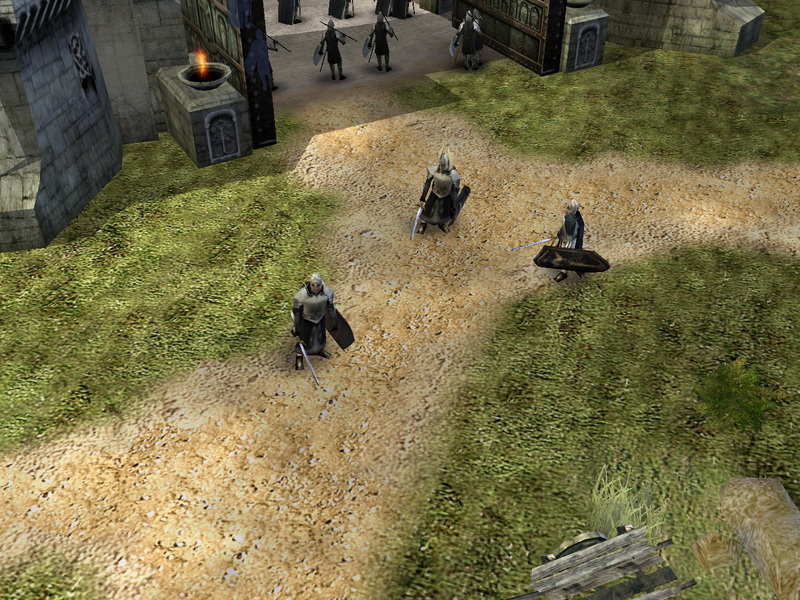 The leaders of Gondor are however quite different than their Dwarven counterparts. 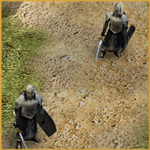 While the Zirak-Burkûn sported leadership that grew in strength when they leveled, the Gondorian Captains instead unlock powers in a fashion similar to a standard hero. However, all experience is lost when they die, and you can only purchase up to 3 at a time. Captains are trained at a Level 3 Barracks. 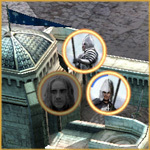 You can also choose to specialize your Captains as captains of the City or of the White Tower, representing men that lead Gondor's armies through unfettered heroism or command through cunning and skill. Captains of the City gain bonuses to knockback resistance, health and damage and are overall better fighters - think of Boromir here. Their powers are activated rather than passive - they start with Battle Cry, a triggered buffing power power that improves in range at Ranks 4 and 8. 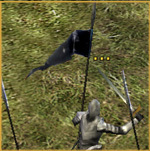 At Rank 5 they gain Hero of Gondor, a passive ability that grants nearby units more damage and speed when the Captain is in combat. 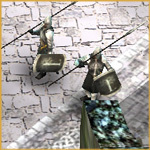 Captains of the White City gain a large spear and some bonuses against cavalry, but it is their various passive leadership abilities that make them most useful. 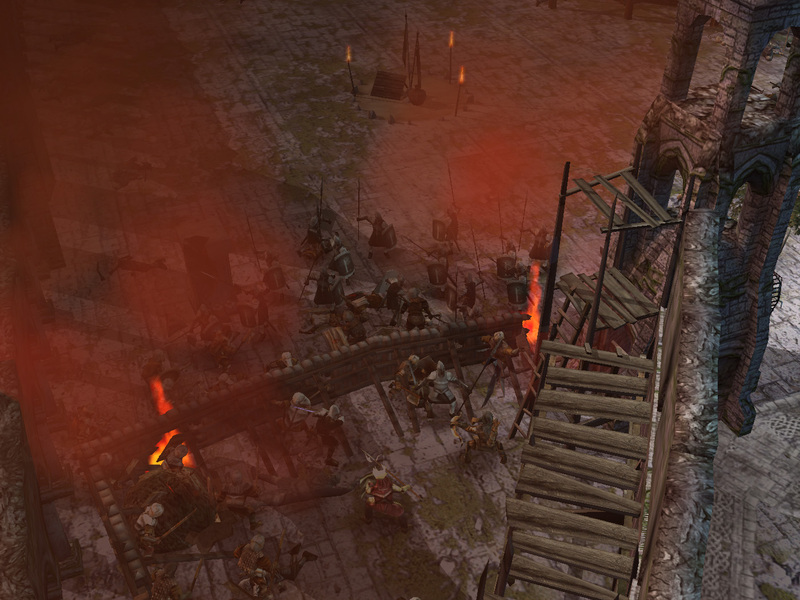 They start with The White Tower's Favour, a bonus that increases defence and experience gain of nearby units. At Rank 4, The Steward's Will is activated, increasing the build speed and experience gain of nearby Archery Ranges, Stables and Barracks. This lets you build your army even faster! At Level 8, they gain Hold Steadfast, which gives additional bonuses to Fear resistance and decreases power recharge times. That almost concludes our changes to Gondor. Next update will deal with the last set of things - the spellbook. So does gondor not have any basic swordsmen now??? Edited by future4, 28 June 2011 - 08:46 PM. I see two new powers on the screenshot, and is aotd staying in the game? I kinda thought you might remove it. Beautiful. Can't wait to see the new captain units in action. Edited by Fredius, 29 June 2011 - 02:30 PM. Next week! or not, I may need two updates for all the power stuff. Yeah, remember how much I dislike toggles! I could argue from a historical warfare or even a on-screen evidence perspective, but gameplay is a better one. - This creates a problem of obsolescence. The toggle unit, if too good at both its roles, makes other units of the same type obsolete. 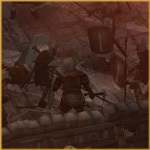 Why would I buy an Uruk Pikeman and a Uruk Warrior if I had an Uruk Veteran that could do both? If it's too bad at being a pikeman, then nobody will use that toggle, because it's more effective to buy a Pikeman for that. - Both modes need to be sufficiently different. Again, nobody will use them if switching to swords doesn't really do much to the stats. - Both modes need to have a counter. This is hard with BFME where you basically have a system with soft counters. 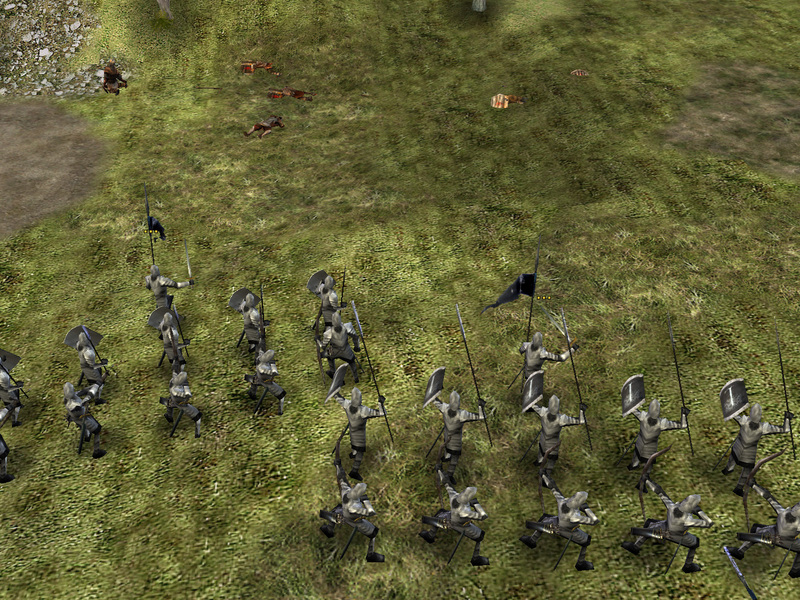 A Swordsman/Pikeman is in theory a counter to Archers and Cavalry. It isn't actually countered by anything, because the only thing that it directly doesn't counter it is 'equal' to (Swordsmen). This is a big problem because since toggle units tend to be elites, they will actually counter standard swordsmen too. There are a few toggles in BFME that work well. The Galadhrim are a good example, as an Archer/Pikeman. Both of these are still technically countered by swordsmen, so it's still ok. The roles are different enough as an archer and an anticavalry. 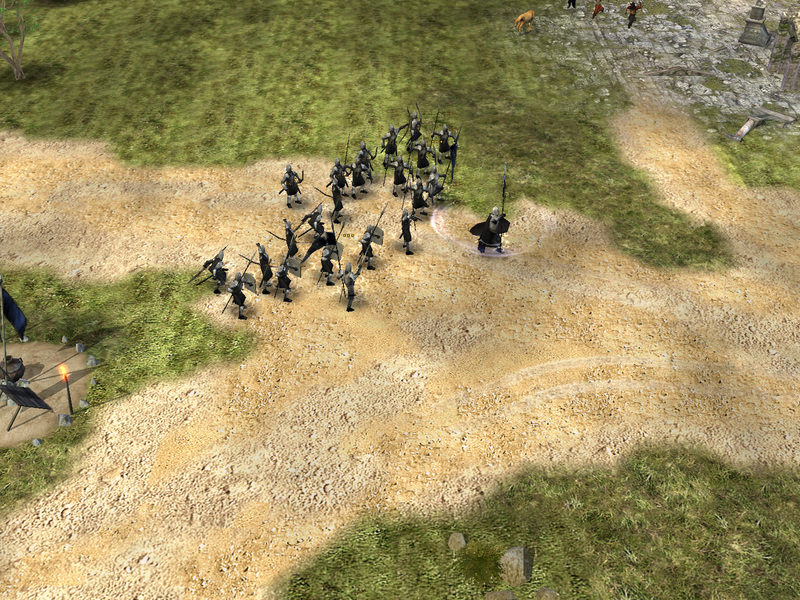 They don't make spearmen obsolete because Rohan has no other dedicated spearmen. Both modes have distinct advantages (porcupine or ranged attacks). A melee toggle has no logical explanation. Hero toggles are easier to balance, because heroes break balance in the first place ( ). Also, you can do things like enable or disable abilities based on the toggle to make them useful. They also don't render units obsolete directly. What toggles did I add for TDH? Well, Iron Hills Warriors have mattock/sword. 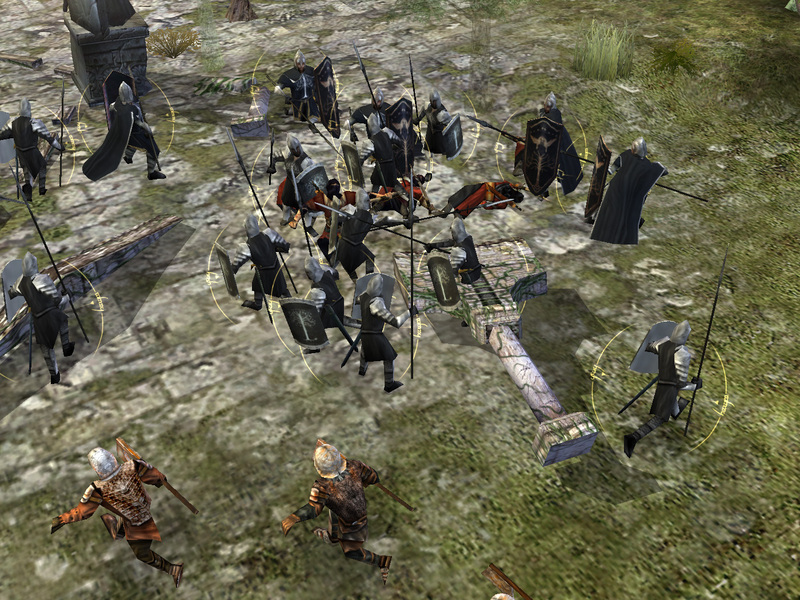 This *almost* works because there's no anti-building infantry in the Dwarf faction. Buildings aren't really strong enough against standard infantry though, so it's iffy. If they have Dwarven Metallurgy, toggling doesn't do that much of a difference. I added Uruk Scouts too - again, an iffy toggle at best. 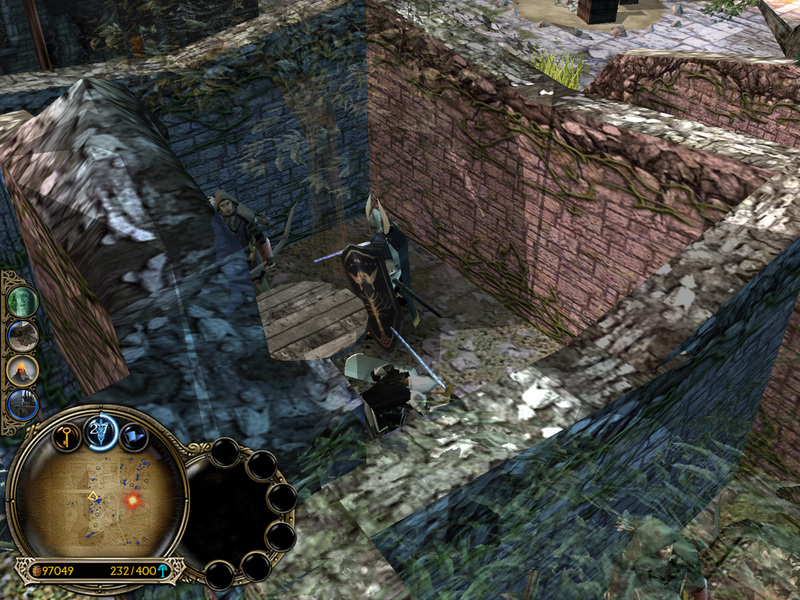 There isn't much incentive to use the swords they have unless you're fighting a lot of swordsmen. Lots of things that end up being toggles work better as one-shot abilities. Unfortunately, these don't work very well for hordes in BFME1, you end up getting buggy things like the Khazad Guard axe throw. Long story short, no toggle for Gondor Soldiers . I'm saying late August now and I'm going to try my best to keep that. Edited by Nertea, 29 June 2011 - 07:06 PM. 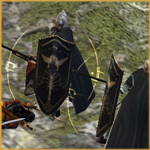 Love the Citadel Guards capes, but the design on the shield looks a tad dark, try making it look a bit more golden. 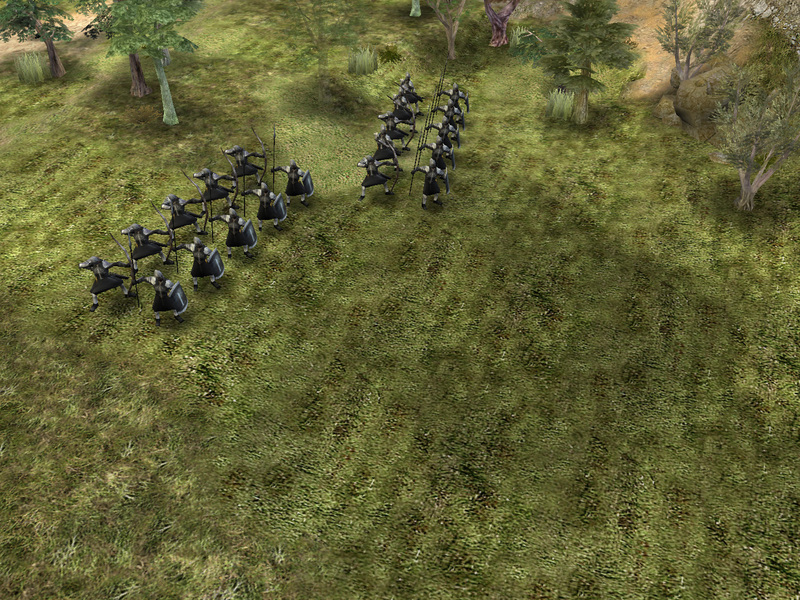 Also good idea making them gondor spearmen, since in the movies they mostly had spears. Lastly the Gondor Captains look extremely wicked. My god man! where does it end??? Not complaining loving all the new stuff. Well I do have an idea for the Gondor Soldiers, you know how the peasnts have random weapons, why not do that with the soldiers some with pikes some with swords. Though it wouldn't look as professional, its just a suggestion. Incredible! You are very clever to make the development mods! I want to apologize you for I nag you. I'm sorry! I shall never happen again! I think the TDH better than EA is bad and old games! 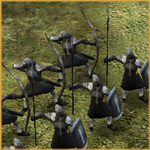 I love see Gondor units is cool skins and Nice Citadel Guard! 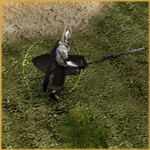 But I am very disappointed because no Dol Amroth Knights and Citadel Guard Archer the elite bow!